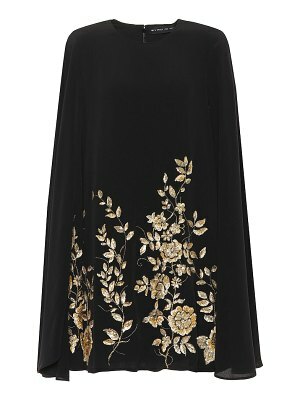 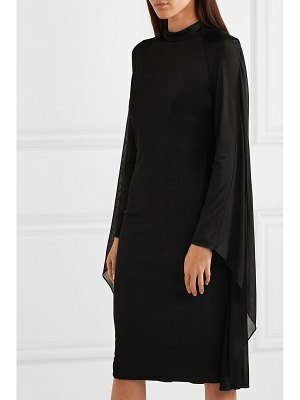 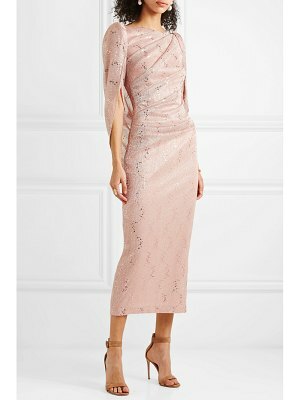 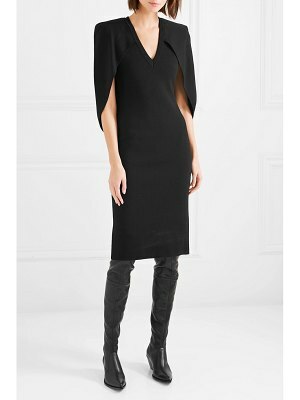 Alexander McQueen brings a famous story to life with this ultra-modern wool cape dress. 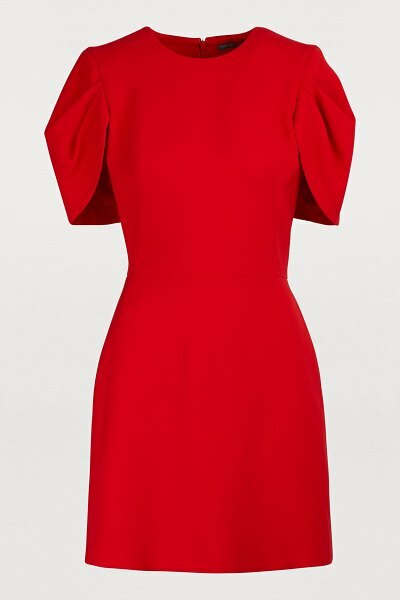 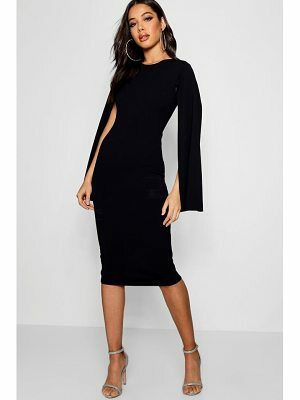 Immaculately worked, the short cut is distinguished by highly romantic tulip sleeves. 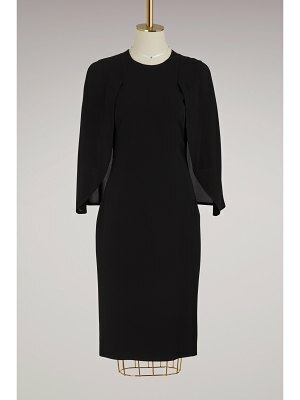 The back stuns with its cape inset on the shoulders, for a mysterious touch. 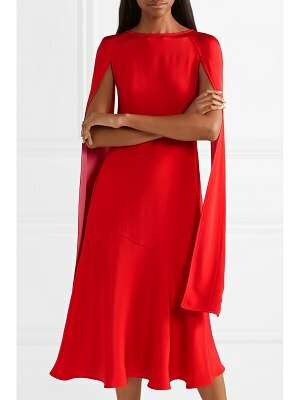 This mischievously colored dress will bring an element of surprise under the draped coat from the same collection.